We all like to dream about having a lifestyle of the rich and famous, and there are a number of online pokies that try to offer a glimpse into that world. 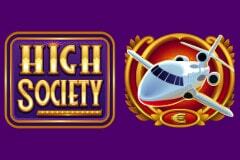 High Society, from Microgaming is another of the genre, with images of private airplanes, bags of cash, yachts and the like across its 5 reels. To help players reach their goal, there’s a 535,000-coin jackpot, a choice of 2 free spins games, wild substitutions and a bet range that goes from a (frankly ludicrous) 12.50 per spin up to 250.00. This brightly coloured game has an image of skyscrapers at night as the backdrop to the reels. The Empire State Building is clearly one of them, so it’s a glitzy New York setting for the action to follow. A gold edging to the reels themselves and the game title above surrounded by flashing lights adds something to the atmosphere, while below this is a simple set of control buttons. Players use these to adjust the amount staked per spin and unlike many games that let players place small bets, this one is definitely aimed at more serious players, with a starting level of 12.50 per spin across the 25 paylines. That’s way more than the vast majority of pokies and is sure to put off a huge proportion of people, but money is what it’s all about, and money is what’s needed to play it. Clicking on the View Pays button takes players to the information about what they will win each time the right combinations of symbols land in place, with lines of 3 or more identical ones across a line running from the left side equalling prize payouts. The lowest value symbol is a cherry tie pin that harks back to old style fruit machines, while an expensive watch, diamond ring and bags of Euros come next up the scale, each worth more than the last. Then we see even more expensive items, like bars of silver, a briefcase stuffed with more cash, gold bars and a luxury car. All of these can be had by your average multi-millionaire, but at the top of the table we have stuff that’s strictly for the billionaires among us, with a huge yacht and private jet that will still be out of reach even for players who win the High Society jackpot. 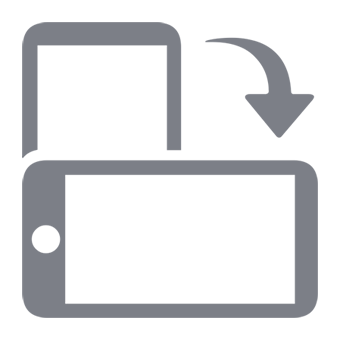 The High Society logo is a wild symbol, only appearing on reels 2 and 4, but helping to complete winning lines by acting as all but the scatter symbol. There’s no value to the wild on its own and no multiplier in effect if it completes a line. The money clip of Euros however is the scatter, and unlike the wild, it has a couple of functions. Firstly, it doesn’t need to be in any particular positions to pay out a prize, while the amount won will be multiples of the total bet, rather than the line bet. 2x, 3x, 20x or 100x the bet is paid when 2, 3, 4 or 5 scatters appear. Secondly it starts the main features of High Society any time 3 or more land. Players are given the option of a Super Multiplier free spins round with all wins multiplied by up to 10x, or Super Wild Reels, where up to 3 reels are completely covered with wild symbols. If the Super Multiplier option is taken, 10 spins are triggered and depending on how many scatters triggered the game, a 2x, 3x or 5x multiplier will be in effect. However, each time the scatter symbol lands on reels 1 or 5, the multiplier will go up by 1x, while landing it on reels 1 and 5 at once will award a further 10 spins. The Super Wild Reels game begins with 10, 15 or 20 spins, again depending on how many scatters triggered them. Between 1 and 3 reels will be wild on each spin, but the scatter appearing on reels 1 or 5 during the spins will turn that reels wild as well, and if it lands on both at once, a further 10 spins will play out. There’s no doubt that what we have here is basically a nice-looking pokie that has some innovative bonus rounds. However, there’s a big, fat elephant in the room and it smells of money. The 12.50 minimum bet per spin puts High Society out of the reach of the majority of players who just like to enjoy casual games without having to bet significant sums. True, it means the rewards can be substantial, but really Microgaming, why such a high starting level?